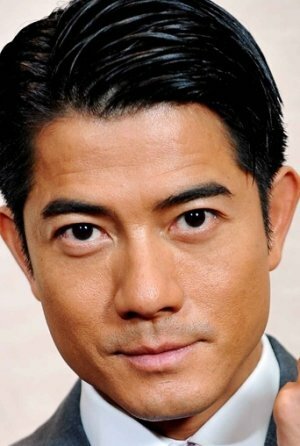 Kwok Fu Shing (English name: Aaron) is a Hong Kong singer, dancer, and actor. Active since the 1980s, Kwok is considered one of the "Four Heavenly Kings" of Hong Kong. Kwok's onstage dancing and displays are influenced by Michael Jackson. While most of his songs are in the dance-pop genre, he has experimented with rock and roll, ballad, rock, R&B, soul, electronica and traditional Chinese music. He received the "Ten Most Outstanding Young Persons Award" in 2003. In 2017, Kwok married Shanghai-based Chinese model Moka Fang and they both are parents to daughter Chantelle Kwok. On April 18 2019 Kwok announced the birth of their 2nd child a baby girl.